Sign Up and SPIN for FREE! Get one FREE spin class when you sign up to receive special offers, fitness tips & news from Fitness-Tek! Sign up today to receive $100 to be applied to your body analysis and session. If muscle deterioration, joint pain or overall joint stiffness is hindering your quality of life then MAT® is for you. Fitness-Tek uses Muscle Activation Techniques to deliver a customized strengthening program built around YOU. 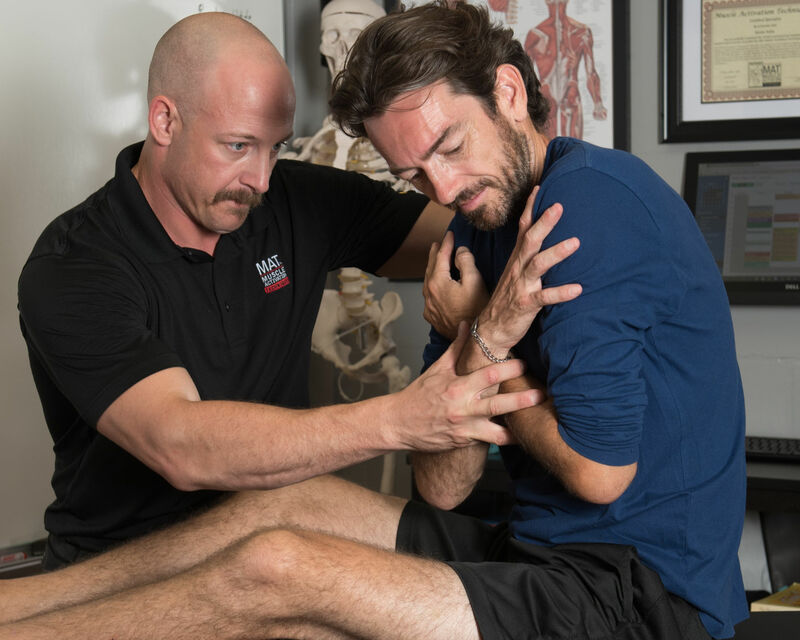 We use a scientific approach to identify the root of the problem and create the proper rehabilitation and strengthening program for YOUR specific weakness. From professional athletes to accident victims, our clients have not only seen improved health but have also successfully reached their fitness goal and become pain free!